Professor Dr. Ainul Jaria Maidin is at present the Director of the Office of Corporate Communication and Marketing to enhance the image of IIUM. Prior to this, she served as the Director of the Business Unit where she managed to achieve nearly 200% increase in the revenue generated. 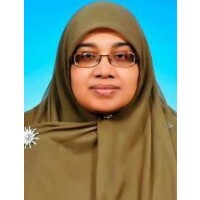 She was the Coordinator and Head of Research Management Unit for AIKOL. She has served the universitya? ?s student development initiatives from the capacity as a Residential College Fellow and Principal. A senior consultant with the Bureau of Consultancy and Entrepreneurship, a business unit within the university an ... show more d the secretariat for the Land Tenure and Environmental Management Unit (LATEM). Prior to joining IIUM as a lecturer, she gained valuable experiences in the legal practice area as a civil litigation, Syaria? ?ah, corporate conveyancing and Islamic Banking loan documentation. At the national Level, Prof Ainul is a member of the Advisory Panel for the GRP under the Malaysian Productivity Centre. She has also contributed to professional bodies such as the National Landscape Institute (ILAM), the Town Planners Association, a member of the Board of Advisors of the Institute for Land and Survey (INSTUN), a member of the Kuala Lumpur Redevelopment Policy Drafting Committee, 2011. She is a member of the disciplinary committee, Malaysian Bar Council. Prof Ainul serves as a guest lecturer for Land Planning and Environmental Law course at University Putra Malaysia for Landscaping Architects at both undergraduate and postgraduate levels. She has served as a trainer for the National Land and Survey Institute (INSTUN), Asia Pacific Diligence, Emerge Knowledge SB Malaysian Institute for Corporate Governance. At the international level, she is leading the collaboration within the International Islamic University of Malaysia and UN-Habitat on Urbanlex; a member of Research Committee of IUCN (International Union for Conservation of Nature), Academy of Environmental Law; representing IIUM in the Global Land Tool Network (GLTN), a branch of UNHABITAT; invited as the expert in land tenure security and administration by partners of the UNHABITAT globally. Prof Ainul has contributed to the Property and Trusts Law in Malaysia for Kluwer Law International, an international publisher based in the Netherlands. She has published three books, and more than fifty articles in areas related to land tenure, land administration, sustainable development, urban planning and environmental planning law. She is the contributing author to the Halsbury Laws of Malaysia Series for the Volume on Town and Country Planning in Malaysia, National Land Code Penang and Malaccca, Titles and the Property and Trusts Law in Malaysia for Kluwer Law International, an international publisher. Prof Ainul was the head of a consultancy project for the Department of Director General of Land and Mines, Ministry of Natural Resources and Environment Malaysia (1.3 million) where the output is a proposed amendment to the National Land Code Bill 1965 for enhancing the Malaysian electronic land administration system. Prof Ainul successfully completed some consultancy projects for the Federal Department of Town and Country Planning in Malaysia including the Cases decided by the Penang Appeal Board, Updating of the Encyclopaedia, Developing Uniform Town and Country Planning Law for Malaysia. 04 Mac 2003 Quality Research Award (Kulliyyah). WATER COMMISSION - Kulliyyah level.